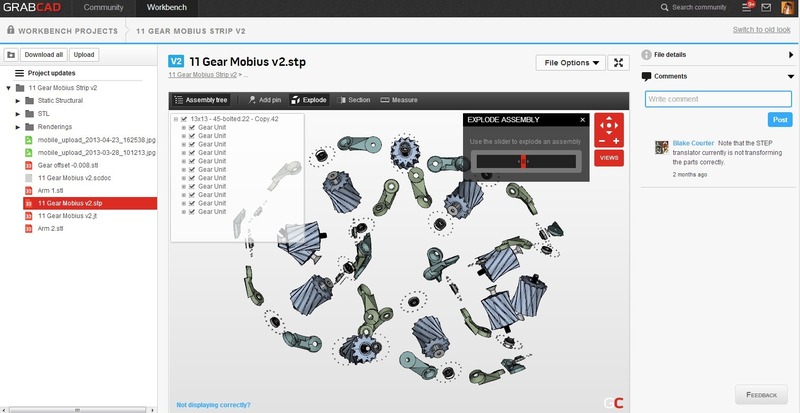 GrabCAD Workbench Launches. CAD File Viewing & Versioning For Engineers and Design Teams. 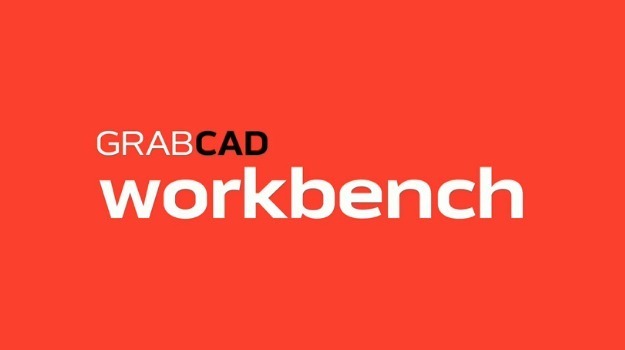 Two weeks ago, GrabCAD launched Workbench. It’s not the worn countertop in your Grandpa’s garage. Rather, it lives on the internet surrounded by the warmth of Amazon’s S3 secure server architecture. More specifically, Workbench is the revamped version of GrabCAD’s project collaboration platform that adds a new interface, viewing of all major CAD file formats, secure sharing of files, versioning, revision control and, low and behold, a pricing model. Yes, GrabCAD has forayed into the world of freemium business models with three tiers of pricing – Professional, Team and Enterprise. Team and Enterprise details and pricing are yet to come, but the free Professional level (currently in closed beta) allows unlimited projects, unlimited collaborators, unlimited storage and mobile access. Are your collaboration woes solved? A few weeks prior to the launch of GrabCAD Workbench, we let the cat out of the bag. The new project area was available, but now they’ve streamlined the site into two main areas, Community and Workbench. While the library and community aspects remain the same, Workbench provides a secure location for sharing models. Inside this environment, people can upload files (3d, 2d, docs, etc. ), comment on files and further collaborate on the project files. The 3D viewing interface provides additional tools to section, measure, explode and place ‘pins’ on the 3D object itself. The idea is to replace less secure methods of collaboration like email, FTP, Dropbox or other online share sites, providing a single point interaction for the model and the people. The Workbench interface showing the files, model tree, exploded view model and comments. You can request a beta access or also get access through an invite to a shared project. This does require you to set up a username on the site, which further enhances the security for your shared data. While it’s not a full-bore, web-based project management suite, I’m not sure all of that is necessary. You have files, a viewer and comments. The interface could be simplified in that regard along with improved file management, but underneath it’s just the right amount of functionality to get together with people on a project.